Today Sonic Computer Entertainment Europe is launching a brand new look for VidZone, the free music video streaming service on the PS3. "The navigation has been updated to make it easier than ever to find, discover and enjoy 1000s of music videos in amazing full-screen quality." Zones: Instead of browsing through thousands of videos, uses can go straight to a Zone that suits them most. 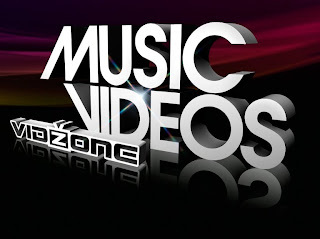 Zones categorise music videos by genre or theme and direct users to the type of videos they want to see the most - making is easier and more fun to discover new videos or artists - Rock Zone, Pop Zone, Hip-Hop Zone, Party Zone or Live Zone are just a few examples. My Zone feature. Music video lovers can add all their favourite playlists or TV channels and start building a library of only the music videos they love the most - then jump straight into the content from the VidZone home screen. V-Mix: This smart playlist generator will play music videos by artists similar to what the user is watching at that time. Social Connectivity: Confessing your love for a music video is simple. With Facebook integration users can share all their recommendations with their friends and with a few simple clicks they can invite PSN friends to join them in VidZone just as easily. Optimised Search: Completely updated, VidZone now offers up-front shortcuts to the most popular content, as well as a redesigned search function including 'similar artist' functionality that makes finding videos quick and easy. Brand new progressive search instantly displays results of artists / videos by just typing a few letters. The more letters typed, the more defined the search.